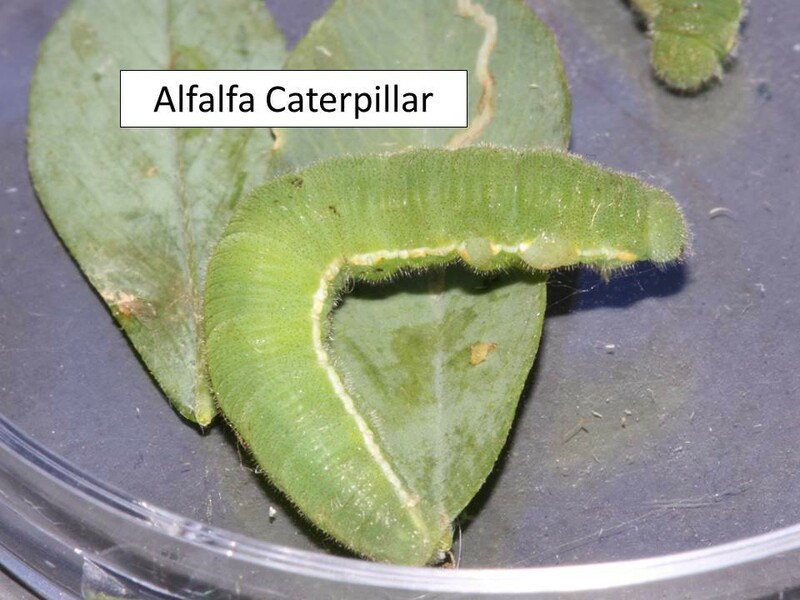 Alfalfa caterpillars are currently active throughout north central Kansas. 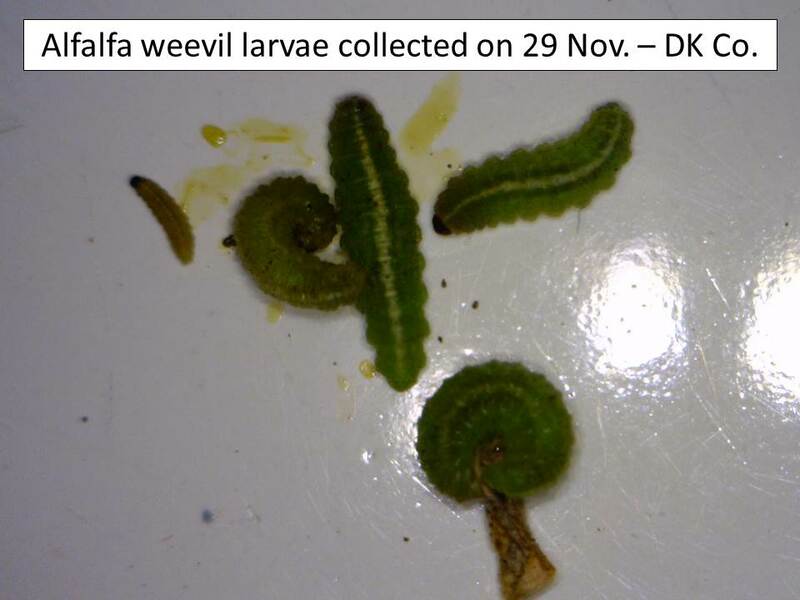 These caterpillars are feeding on foliage, and based upon the size of the larvae in fields, will soon be pupating. 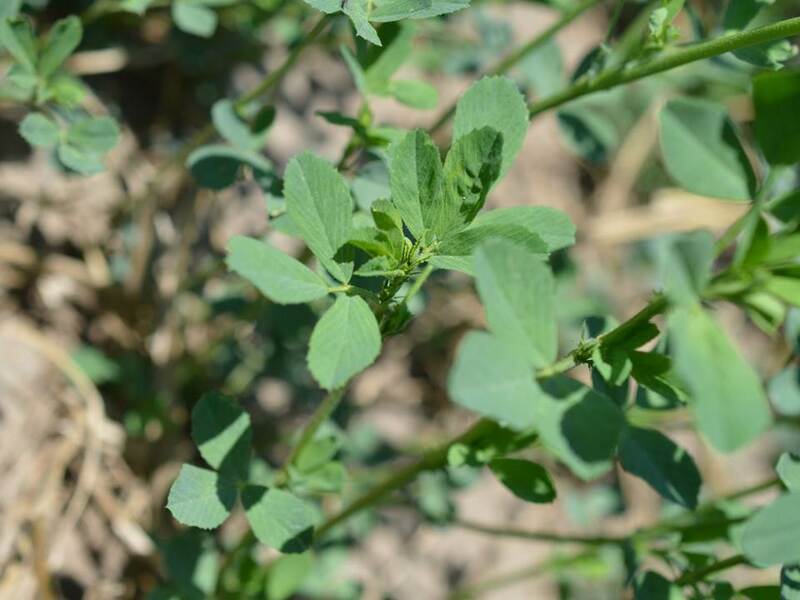 In many fields, swathing is currently, or has just been done and this should help lessen alfalfa caterpillar populations. 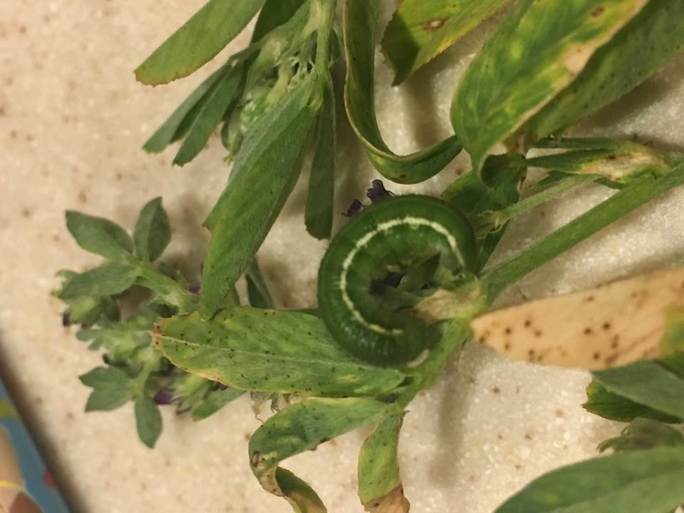 However, if the timing is such that these larvae are pupating in the soil and thus swathing does not remove/destroy the pupae, the emerging butterflies may lay eggs on recently cut fields and the developing larvae may feed on regrowth. This may retard regrowth for a couple of weeks until larvae pupate. 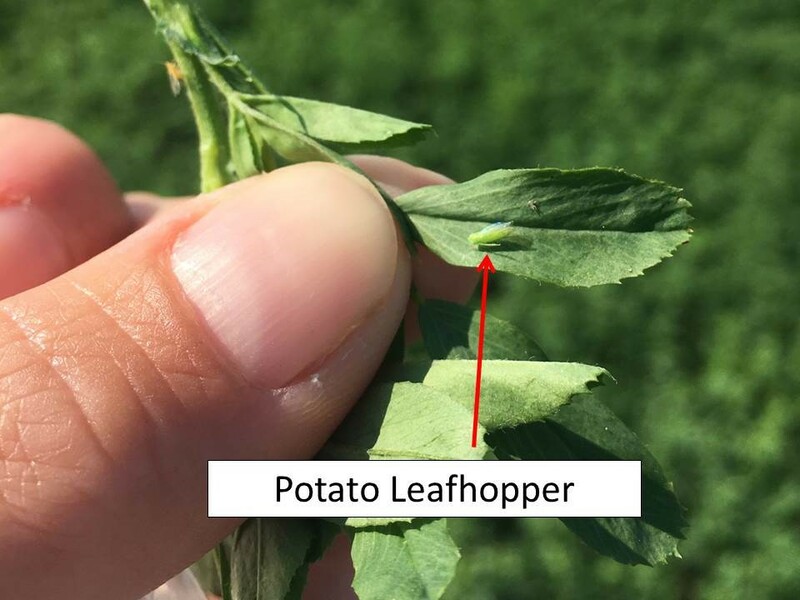 Potato leafhoppers are also very numerous throughout north central Kansas in uncut alfalfa fields. 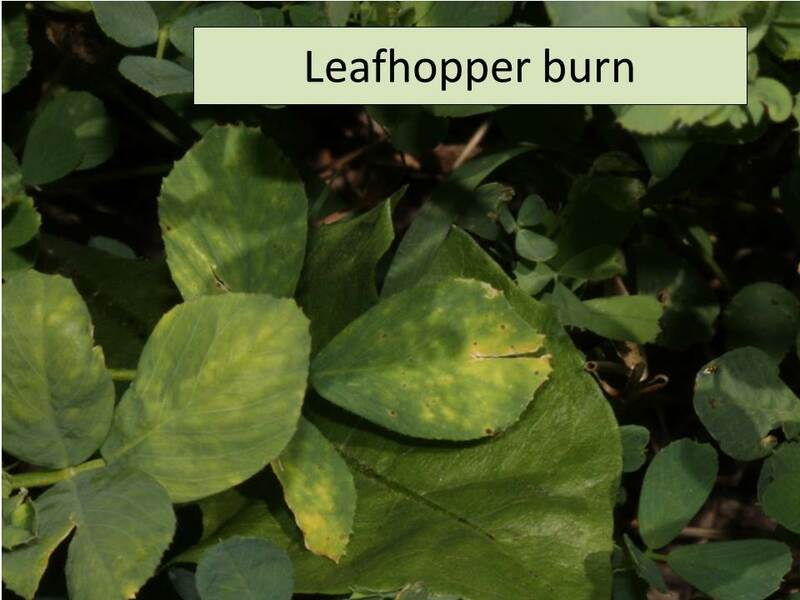 Thus, their characteristic feeding damage, called ‘hopper burn’, is common. Swathing should reduce potato leafhopper populations significantly and, hopefully, they will not rebound. 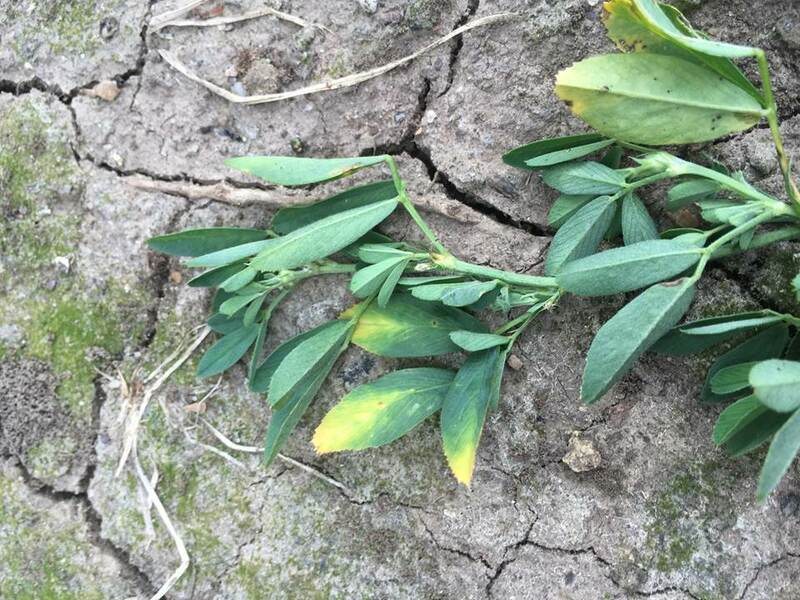 Continued monitoring is prudent as alfalfa caterpillar feeding and potato leafhopper damage may lessen the plant’s ability to store reserves in their roots for overwintering. 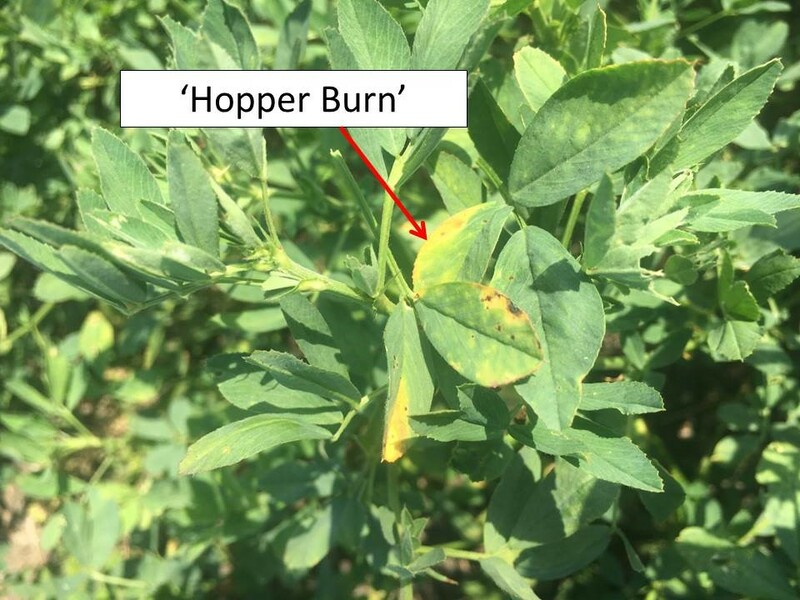 Potato leafhoppers are still common in all alfalfa fields sampled in the last 7-10 days, unless they have been swathed during that period of time. Fields swathed within the last week did not have enough potato leafhoppers to reach a treatment threshold. 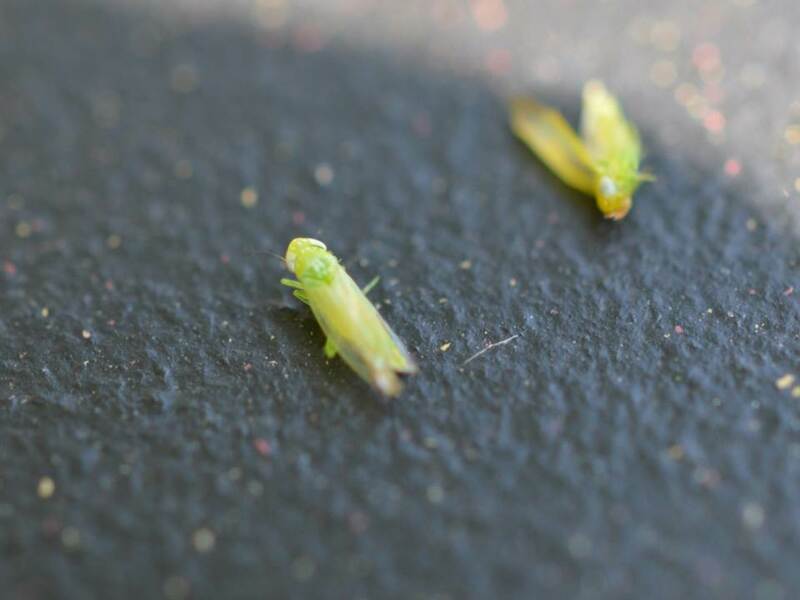 However, fields swathed just 10-14 days earlier are once again loaded with these little lime green, wedge-shaped leafhoppers. 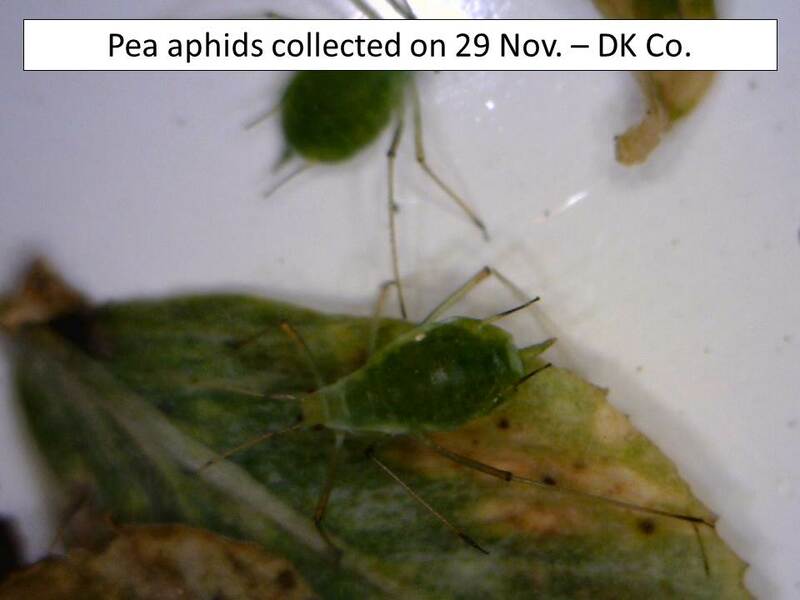 There do seem to be good populations of green lacewings in uncut alfalfa fields. 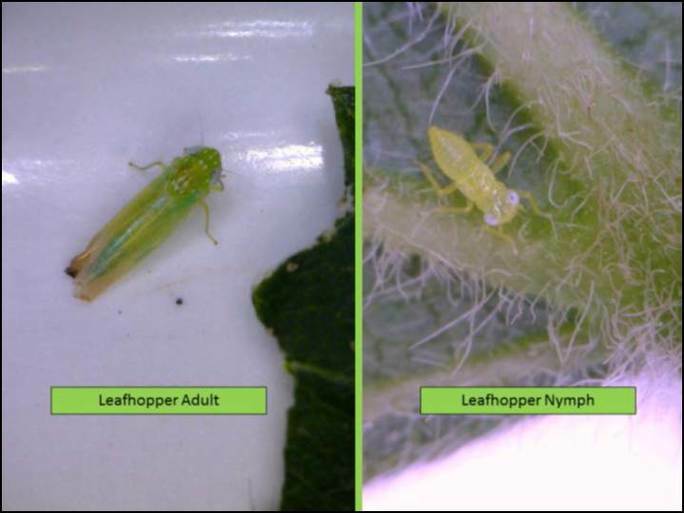 However, they do not appear to be impacting the potato leafhopper populations. 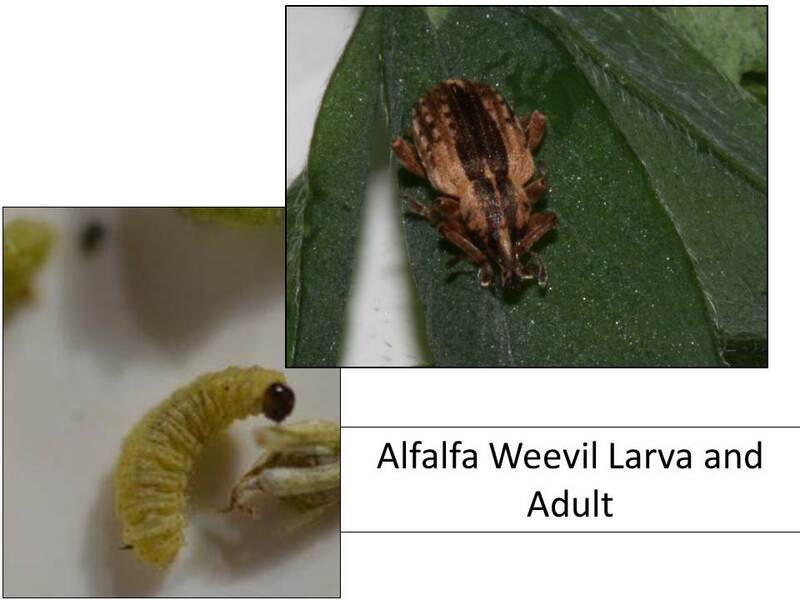 We did pick up one alfalfa weevil larva and one adult in an uncut alfalfa field but the alfalfa weevils should not be of concern as major defoliators until next spring. Swathing seems to have interrupted the potato leafhopper increases that were seen prior to cutting. All the fields sampled prior to swathing in north central Kansas exceeded the treatment thresholds. Conversely, all the fields sampled post-swathing had potato leafhopper population well below economic injury levels, i.e. 20 potato leafhoppers per 20 sweeps pre-swathing vs. two per 20 sweeps post-swathing. 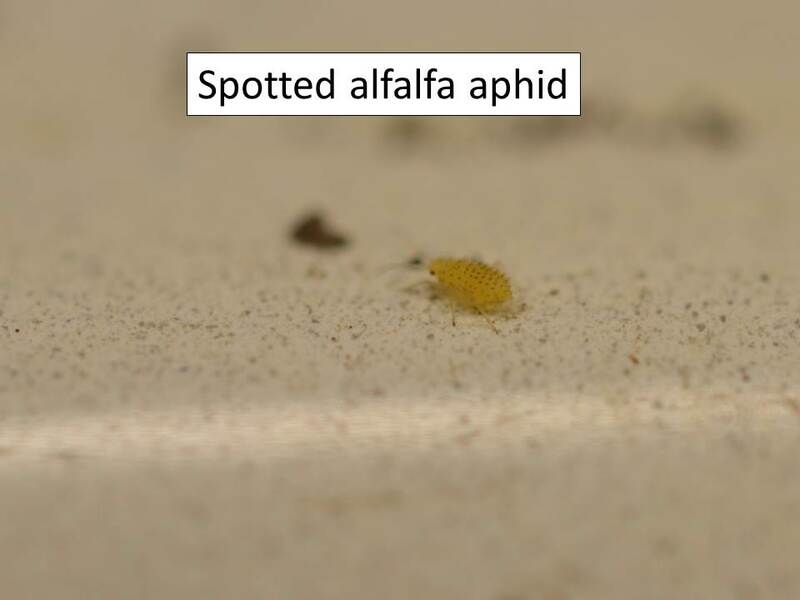 Continued monitoring would be prudent as these pests may stray around until October and continue to produce offspring. 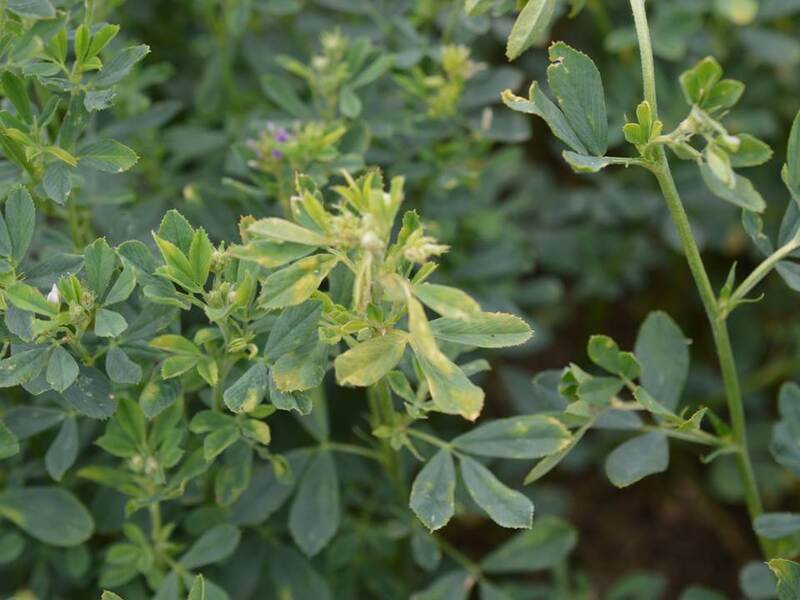 Spotted alfalfa aphids are still present in alfalfa fields but at relatively insignificant infestation levels. 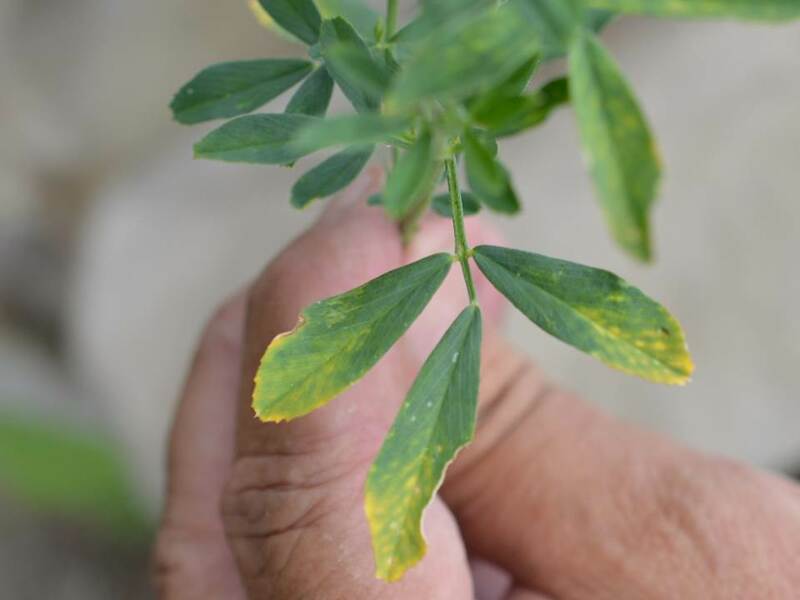 These aphids seem to do very well in mid-summer’s hot, dry conditions but usually don’t reach densities heavy enough to cause yield-reducing stress. 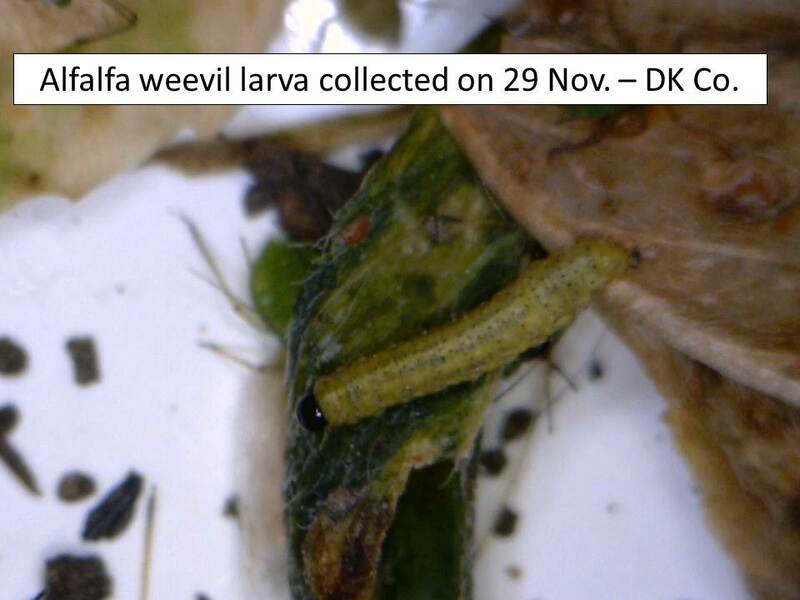 Fields sampled three weeks ago had relatively large numbers of potato leafhoppers, i.e. 20+/20 sweeps. These fields were swathed approximately two weeks ago and averaged 2 potato leafhoppers/20 sweeps, below the treatment threshold. Thus, timely swathing can be very beneficial in managing potato leafhoppers, without use of an insecticide application. 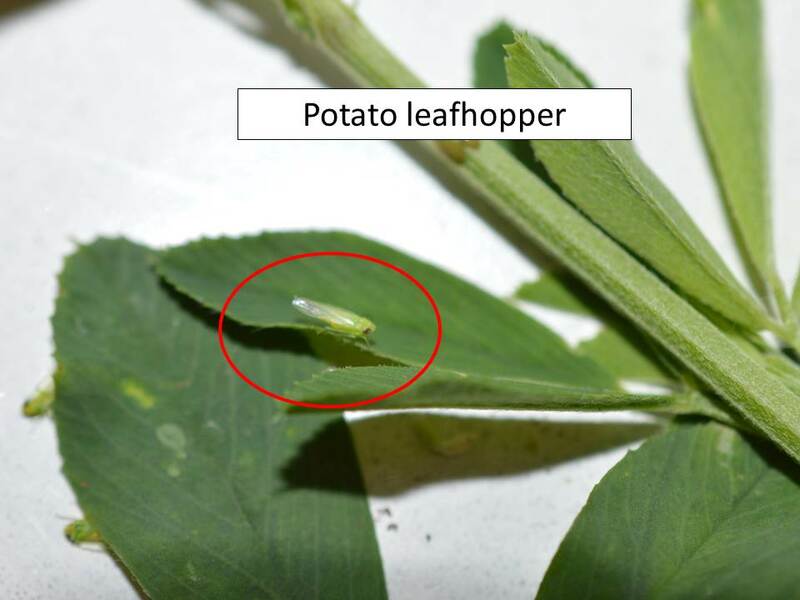 Potato leafhoppers continue to be very common in many uncut alfalfa fields. In one field, which was actually flowering, there were more than 40 potato leafhoppers/20 sweeps which exceeds the treatments threshold. 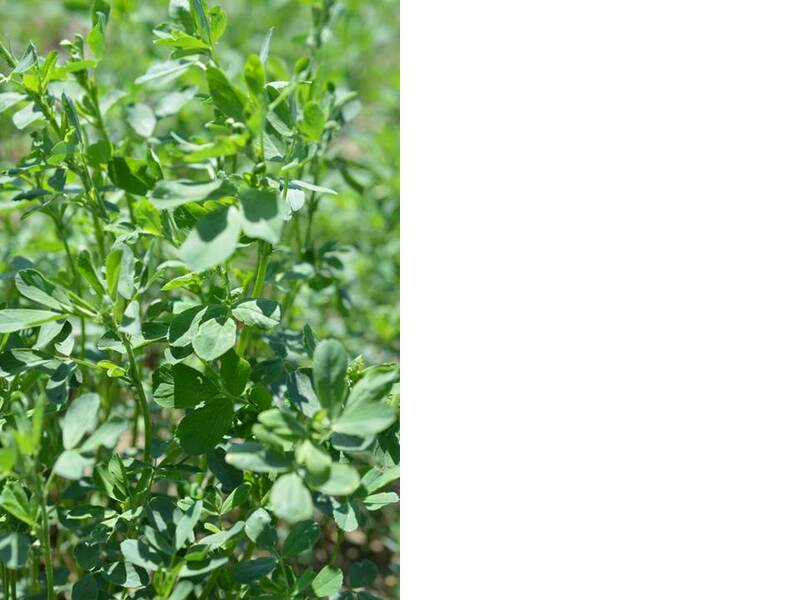 Please see the Alfalfa Insect Management Guide for more information on treatment thresholds: http://www.bookstore.ksre.ksu.edu/pubs/mf809.pdf. 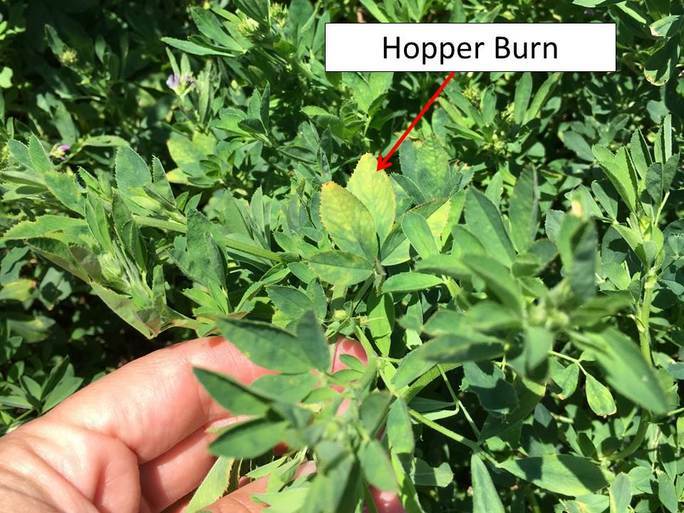 This field has serious ‘hopper burn’ already, but timely swathing should alleviate leafhopper pressure. Another field that was swathed about 3 weeks ago, and at that time had about the same level of potato leafhopper infestation as the above pictured field, has only a trace level of potato leafhoppers now (1 potato leafhopper/20 sweeps). 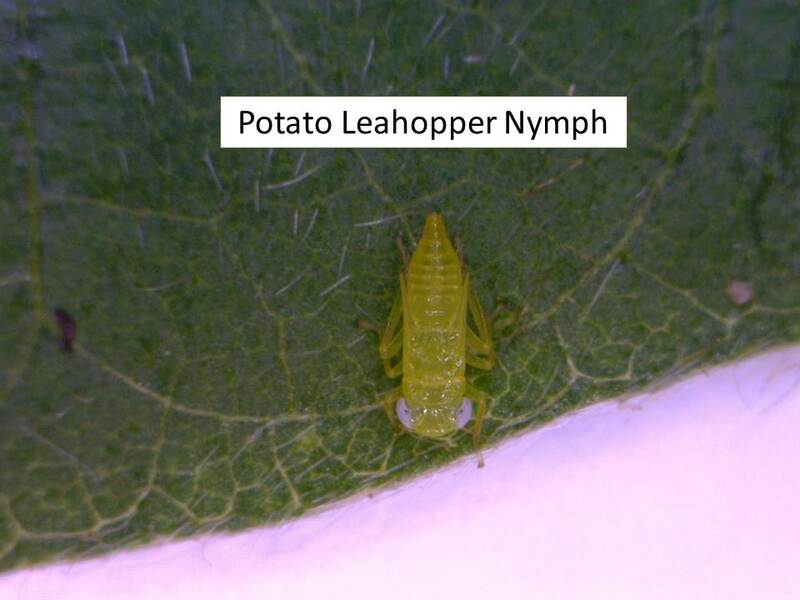 Potato leafhopper populations are very active throughout north central Kansas. There are small nymphs, many adults, and the adults seem to still be migrating into the fields.